It’s absolutely essential to find meaning in life. Specifically, it’s urgent and essential to find meaning in your own particular individual life. Anthony Bourdain, RIP – A genuinely great contributor who will be sincerely missed by a vast number of people. What is meant by that, and how could it possibly be so important? Well, what it means, at heart, for Jungian therapists is that it is essential for each person to find things that are of genuine and deep personal value to them, in their own particular, perhaps idiosyncratic life. Every so often, you will hear someone refer to “the Meaning of Life”. 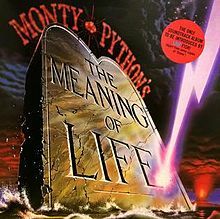 At one point, the comedy troupe Monty Python even had a movie bearing that title. The phrase “the Meaning of LIfe” tends to suggest that there is one great, big overarching meaning in life — the same thing for everyone. In earlier times, when societies were homogenous, and there was perhaps one religious or philosophical perspective that everyone shared, it might have been possible to believe in this kind of “meaning of life”. However, those days have gone, and it’s likely that they’re not coming back. It’s not so long ago that it seemed that certain understandings of “the meaning of life”, and even religious symbols, seemed permanent and fixed, embodying the meaning of life for everyone. In my case, my upbringing was in a particular setting where every significant person assumed the truth of a Protestant version of Christianity, and, if they had felt differently about it, they would have kept those feelings to themselves. But now, in the Western world, at least, that monolithic sense of shared meaning is gone; people’s religious or philosophical beliefs vary widely, or they place value in very different things altogether. Any idea of “the meaning of life” carved into stone some place in the universe is long gone. Yet, our individual lives can have meaning. As the famous psychiatrist and concentration camp survivor Viktor Frankl reminds us, it’s absolutely essential that we find value and meaning in our own individual lives. In his own harrowing experience of the concentration camps of World War II, Frankl saw clearly that, for the inmates of these camps, having a particular meaning that was essentially important to them, as individuals, often meant the difference between life and death. While Frankl’s observations concern an extreme situation, his observations about meaning are true for our lives, too. 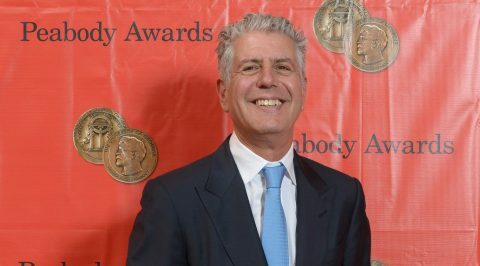 This last week, we lost celebrity chef Anthony Bourdain, age 61, apparently through suicide. I have immense respect for Mr. Bourdain’s culinary knowledge, his ability to relate, and his capacity as a truly great storyteller. He’ll be greatly missed, and I have no wish to cloud his memory with idle speculation. Yet, Anthony Bourdain’s life was the envy of many. Companion and confidant of the famous and powerful, his extensive travels to fascinating places were documented in Parts Unknown, and many other television adventures. Yet even those seemingly the envy of others may find that a sense of personal meaning and deep value in life is missing. Friends, family, a sense of connection — the source of meaning varies greatly, yet all of us need it urgently. The journey to wholeness involves the individual finding his or her unique meaning in life. Depth psychotherapy takes the personal work needed to find meaning in life as essential to healing and growth. It is particularly necessary in the second half of life, and is often a matter of great importance to individuals undergoing major life transitions. It is integral to the process of self-discovery, and for renewal and re-connection with the self.